Are you ready to expand your skill set and improve your professional development? At All Star Safety Training LLC, we provide the tools and resources to advance your career. We are an off-site forklift training center in Upland, CA. By teaming up with our experienced staff, you will gain the skills and knowledge to handle heavy-duty vehicles safely and efficiently. Safety and handling certification ensures you have the skills and knowledge to operate forklifts and heavy-duty equipment competently. In turn, you will have a current and competitive skill set while remaining compliant with state and local regulations. We can also facilitate OSHA-required training at your place of business. Please note that clamp and scissor lift training are not available for hands-on instruction at this time. Also, enrollees must be at least 18 years old to participate in training. At our training center, we provide the tools for your success. Many of our classes only take a day to complete. Best of all, no prior experience is necessary. Your certifications are good for one year. After the written exam, you will also receive a “hands-on” performance evaluation at our training center. 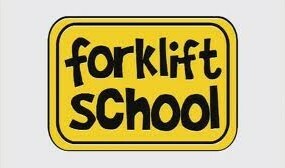 Our patient, experienced instructors will teach you how to operate the forklifts. Need to find certified forklift operators? We maintain a robust network of certified operators in the area to meet your needs. Get your sit-down and stand-up forklift certifications and steer your career in a better direction. We frequently offer discounted rates for many of our courses, allowing enrollees of all experience levels easier accessibility to learning more skills. Below are the current rates. Prices include hands-on training. Contact us to reserve your spot for the next forklift certification class. We are based in Upland, CA, and serve the surrounding area.